So you will have noticed that I have not been using the internet for work stuff recently. Well, the reason is two-fold…. Firstly, I have been trying to make changes to my blog/website. The aim was to incorporate everything onto one site, and this is the chosen one. however, it’s not as easy as one might think (well, not as easypeasy as I thought it would be. S I am waiting for the domain name thingy to work – apparently it can take up to 60 days to clear….I’m not really sure why it is so long, all I can tell you is that I am not very good at being kept waiting and its driving me a little bit crazy (more than normal!) So……nothing is happening so far…. Onto the second reason – I am not supposed to be working more than two hours a day at the moment because of my bipolar diagnosis. I had foolishly thought that I would be able to grasp this bipolar thing quite quickly but my case worker has had to remind me that it is only 6 weeks since my ‘manic episode’ and so to take things one day at a time. Now that is something definitely much easier said than done. So, I have been tinkering about with a few little projects, but not really getting much done. The medication I am on has given me creative block – well, I get a few ideas, but actually following through with them is proving problematic, especially trying to use a scalpel with shakey hands (side effect of the bipolar meds). So, there you go – that’s why I have been somewhat off the radar recently. Oh, there is one thing I have done – I have signed up for the year to do the monthly market at The Fold in Bransford. I love doing this market as there are so many creative people to chat to. If you are in the area on the fourth Sunday of each month I would love to see you, so pop on down and say hello! I know it’s a little late, but Happy New Year! Sorry for being so quite over the last month or so….. things got rather sketchy towards the end of last year and I’m just going to come right out and say it….. it ended on an all time low and a bipolar diagnosis. I am heading out the other side now and its all being managed with the right medication, some common sense, and a huge amount of support from the Worcestershire NHS Mental Health Team who are fantastic, along with a huge amount of support from my friends. So, there you go – that’s why I have been a bit quiet. I’m slowly getting back into work and have so many great plans for this year. I am signing up to do the monthly market at The Fold in Bransford, fourth Sunday of every month 10am until 2pm – come down and say hello! 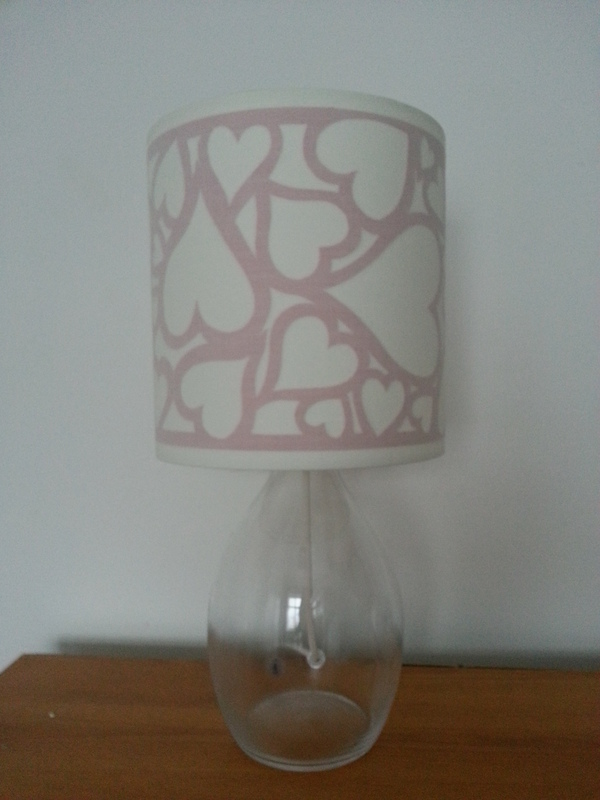 I have also just finished my first lampshade of the year….. do you like? 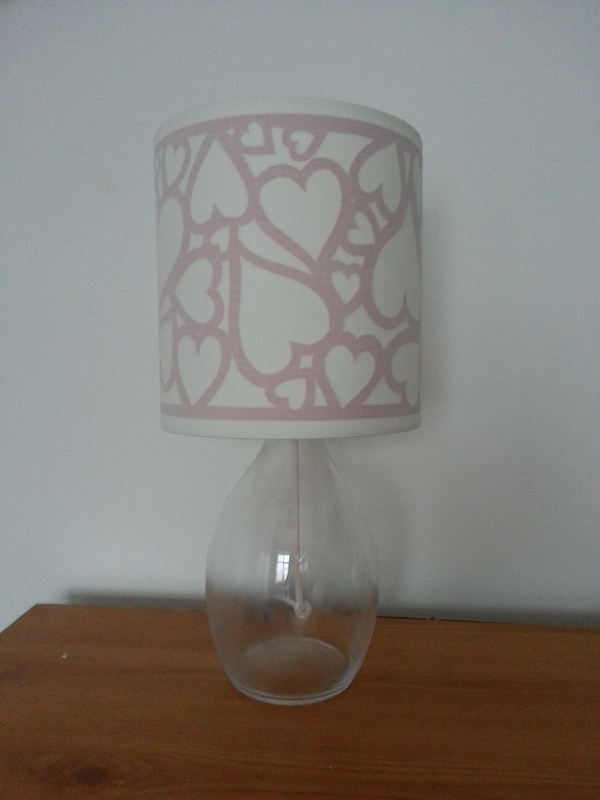 I’ve gone with a Valentines theme…..am not a huge fan of the day myself, but if you are, and would like to order a lampshade like this, please do get in touch. I have been so very, very busy this week, and am so very, very tired. Next week is going to be worse (hence this post being written late on Sunday night). I thought instead of me waffling on with some nonsense or other, I would share with you the photos from my day today. I was at The Fold Monthly Market in Bransford. I am there every month – fourth Sunday of the month, 10am until 2pm – be lovely to see you if you are ever in the area. Its has such a great vibe – loads of local artists, crafters, designer makers, food producers – all sorts really. All the stallholders are super friendly and we love being there together. So, here it is in pictures – enjoy! Paper cutters – they are like buses – none for ages then two at once! As you will remember we met a lovely paper cutter last week, and this week we are meeting an equally lovely paper cutter who I am sure you are going to love. The one other thing I should mention about Jo is that she is super helpful and friendly to a group of us paper cutters – always there with a helpful bit of adivce or a kind word. Read on and find out more…. 1. Whats yer name and where d’ya come from?! My name is Joanne Woolley. I’m originally from a small town in Derbyshire but I now live with my husband in a lovely village in Warwickshire just outside of Tamworth. (Dordon) We have lovely views over the countryside which is really inspiring when it comes to my design work. 2. How long have you been doing what you do, and how did you get into it? I’ve been crafting using various mediums and doing art work from a very young age. I have always liked to try out new crafts and techniques which have allowed me to brighten up my home and make unique gifts for friends.The paper cutting side of things started as a hobby about two/three years ago when I had a car accident as it allowed me to stay busy at a time when I was not so mobile. I had to give up my job in construction and figured as it was something I was good at I could turn it into a business to get me back into work again. 3. What is the hardest part of your work? The hardest part of my job is finding enough hours in the day to do everything. I love turning sheets of paper into pretty works of art but with that comes paper work and tax returns! With there only being only Me, Myself and I to do it all you have to make sure you are on the ball at all times. I would love to be able to pay someone to do all the boring paperwork parts of the job so I can concentrate on the artistic side of things. 4. And what is the most rewarding? The most rewarding part of my job is working with my clients and hearing their feedback. When you have designed something special and meaningful for them to enjoy for years to come there is no better feeling. I always get a kick out of their kind words and that makes what I do for a living a joy rather than a job. It’s nice to hear what the piece means to the person and the reason behind them buying it. I love the fact that I can personalise designs to their needs so they can get what they want rather than going to a main high street chain in which everything is so impersonal. 5. What do you class yourself as – artist, designer/maker, crafter, creative? I class myself as a paper cutting artist but I guess I could be called a crafter/designer/creative. I just feel the title ‘ paper cutting artist’ is a great conversation piece which generates interest as not many people have heard of it before so they always want to know more. I always keep photographs on my phone to show people as you can never fully explain what they look like. 6. Who from the creative world do you admire? I admire anyone who uses their creative juices to make their own craftwork in any medium. I don’t think you have to be famous in order to have other people admire your work. 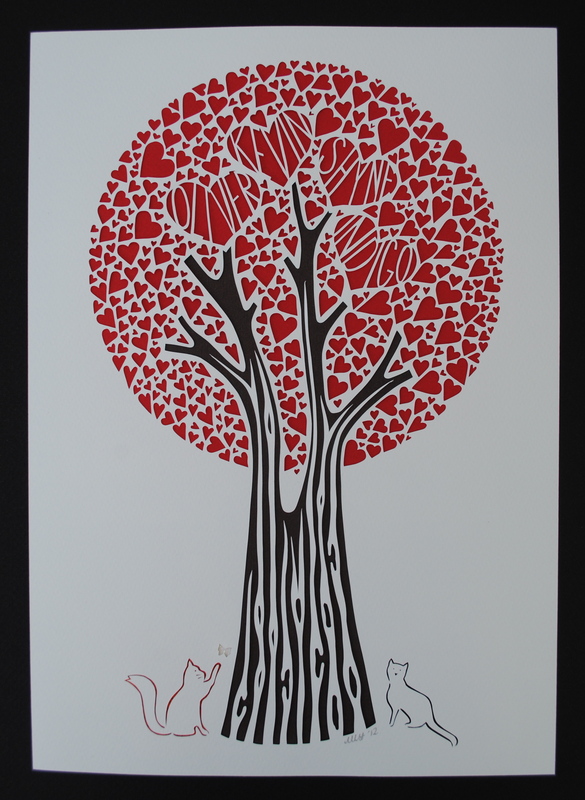 In the paper cutting world Rob Ryan is very well known for his work and he has some amazing designs but there are a lot of paper cutters out there who are not so well known in which I admire. 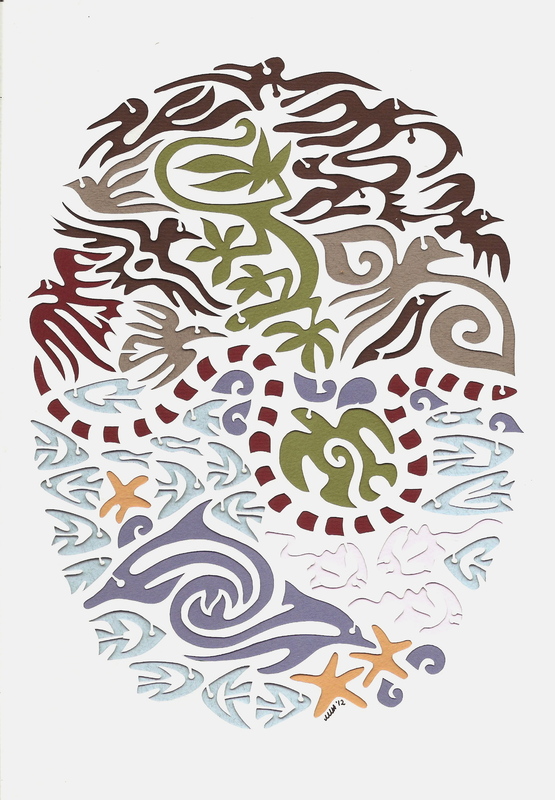 Suzy Taylor from Folk art paper cuts being one of them. My inspiration comes from the world around me. I can be out shopping when an object catches my eye, hear a song with a lyric in which projects an image into my head or even singing a nursery rhyme with my niece and nephews. You are only ever limited by your imagination and mine tends to wander free which helps when it comes to thinking of something new. I am also inspired by some of the ideas my clients come up with in their briefs. 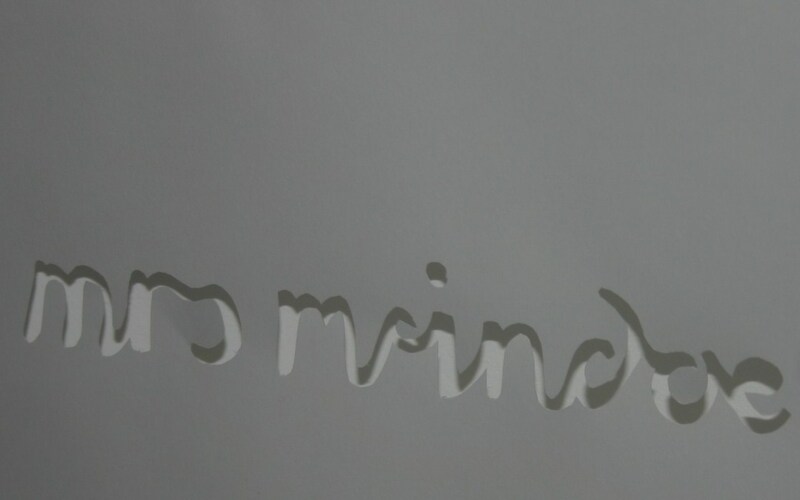 One that really pushed my thinking cap was a brief for a window cleaning design which had lots of words which needed to be joined together but in the end I was very pleased with the results. 8. Do you listen to music/watch TV whilst you are working, and if so, what? I tend to have the radio on when I’m working as I work more productively when I’m sat in my office. I have to admit I do sit and sing along (badly) to the songs that they play and also talk back to the presenters. Did I mention that it helps to be a paper cutter if you are slightly mad? It’s hard to watch the TV and either cut or draw up a design so I don’t tend to have it on. In five years time I see myself as being more established with a good portfolio of work behind me with lots of varied designs. 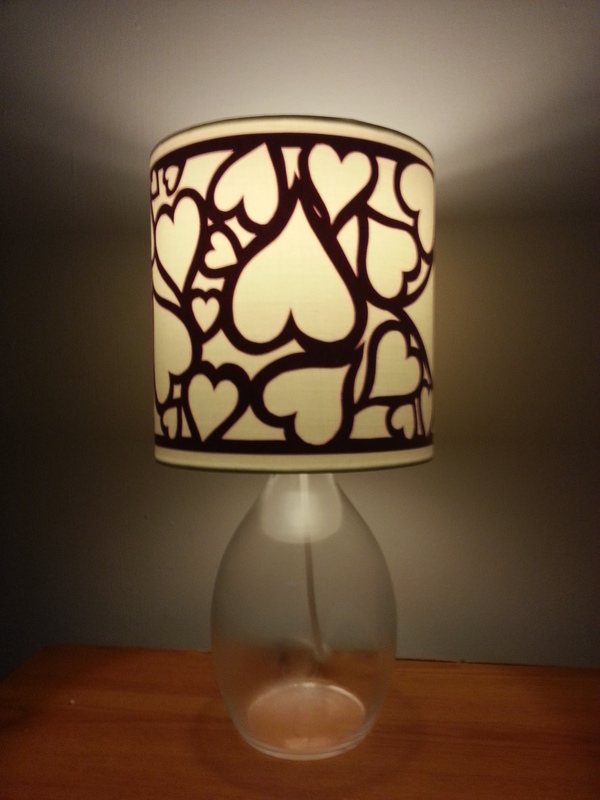 I have plans to branch out into working with some other mediums so my designs can be reproduced onto other items. I’m currently working alongside someone who can help make this possible. I would also like to be in a position where I can start to take on employees who can clean glass frames and do paper work/accounts etc giving me more time to concentrate on the design side of the business. 10. What sacrifices have you made for your art?! I’ve given up a lot of time in order to get the business off the ground but I wouldn’t call it a sacrifice as I have really enjoyed the time I have invested into the business. I had already lost my job due to a car accident so I had nothing to lose and everything to gain. I don’t think I would have ever had the courage to set up on my own before then but now I have I would never look back. It is harder than being employed by someone else but the rewards make it worth it. I’ve sliced into my fingers with my scalpel so I guess you could say there has been a bit of blood shed but with the help of a sticky plaster I managed to carry on. So there you go, now you know a little it about the lovely Jo. To find out more, go and visit her website and why not pop over to Facebook and like her page? So how did this come to be, a second window display…..well, I have to say, we have been discussing it for some time. I wanted to give myself a new challenge, and Sean was willing to take a gamble in the hope that between us we could create something fantabulous. Of course it had to represent Malvern, and so we have the Malvern Hills in the background, with Malvern stylee houses and the famous Malvern street lamps, and even a row of average Malvernites strolling along the front (is that what they call themselves do you think?) And of course the new shop, pride of place in the middle, including window display! We thought we would be cool and classy and keep it all white. I had a great idea to use foam board rather than card to give a bit more depth, and as we talked about this, our vision grew and grew until we had come up with what you now see. RIght up until the last moments of a very long day, we were a little unsure how it would turn out, and how would tackle certain issues – speaking of tackle….yes, well, we did end up using a lot of fishing line (sorry, that really wasn’t very funny at all – I’ll stop the’ joke’s now).We had been a little concerned about how best to light the display, and had all sorts of ideas planned out, but as is often the case, a much simpler solution showed up and we were pleased! I think that with projects like this, a great deal of flexibility and lateral thinking is needed to pull them off. And so with a few wobbles up a precarious ladder, our best efforts at guestimating measurements (Sean: it’s about one of my handspans, Me: ok, one of my handspans plus a little bit it is then) we managed to do it. Have a look at the pictures – I would love to know what you think, so please send me an honest comment…. OK, now before I go, you have to promise me that you will go check out and ‘like’ the Austin & Co. Facebook page – NOW!! Good morning my lovelies. How has your week been so far? Mine has been a mixed bag, but things are looking up – excited about a big event I am doing at the weekend for St Richards Hospice, a local charity. ANyway, am going off course….. interesting person…..yes, well, I met the lovely Melissa on Facebook through another paper cutter. I think her work is just fab, and she has also been very helpful and supportive when I have been stuck with a work type problem. So…..here is a little bit about her…. What’s your name and where d’ya come from? Hiya Cilla 😉 I’m Melissa Holmes and I’m from York. How long have you been doing what you do, and how did you get into it? I’ve been papercutting for just under a year now. I started with a very simplistic Christmas card last December and its gone from there! I’ve always been a crafty sort and was initially running Holmes-made to sell my hand-made quilts and other machine-sewn items while also working as a magazine editor and journalist. The demand for quilts and patchworks (which I found very difficult to make a living from) alongside my writing and editing commitments, combined with being a full-time mum to my little girl all became a bit much. 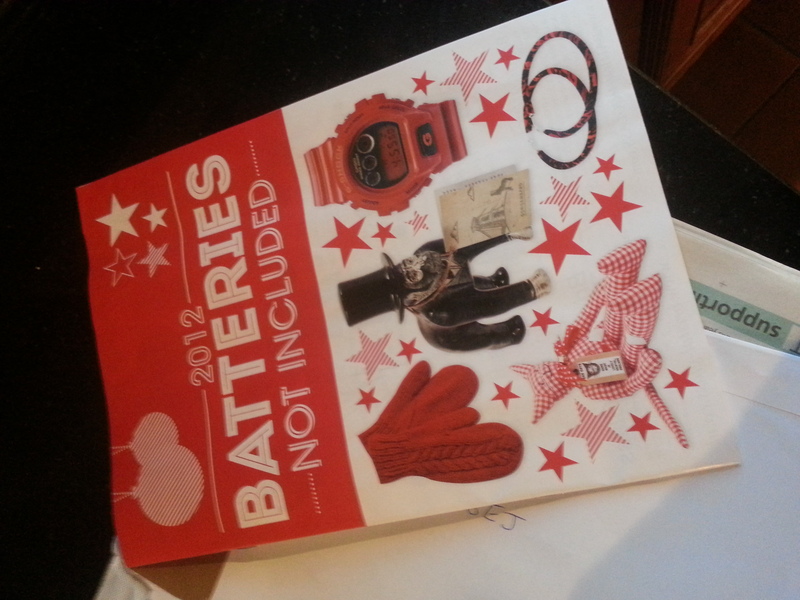 So in spring 2012, after several years editing three national magazines, I put away my red pen. My aim? To focus solely on papercutting. I still write a feature every couple of months – I used to win awards for my journalism, so it’s good to keep that going – but papercutting is where my passion lies now! So yes, I’ve been doing this for less than a year and, aside from the input of some very helpful paper artists, I’m entirely self-taught. What’s the hardest part of your work? The hardest part isn’t really to do with work at all, its to do with scheduling and finding time to draw and cut. Stealing a few moments here and there while my (very active and highly strung!) little girl naps has been increasingly difficult of late. But now she’s just turned two she’s started going to preschool a few mornings a week, which gives me at least four hours of cutting time a day. It doesn’t sound much, but it’s (sort of) enough. Plus I can’t work while she’s awake or in the house – scalpels and toddlers don’t mix! It’s working well so far though, and I’m at my desk a lot of evenings too to get through my busy order book. And what’s the most rewarding? For me, it has to be photographing or just admiring the finished piece. Often I can’t quite believe that little old me has managed to produce something so intricate and detailed. And right up there alongside that is the feeling I get when I hand over a cut to a client, or when they get in touch to give me their feedback. Making pretty things that make other people very happy – things that I know will be treasured for a lifetime – well, nothing tops it! What do you class yourself as? Good question! I’m a mum first and foremost, but after that I am an artist. It’s taken me many, many months to be able to say that, and I still feel like a bit of a fraud despite my experiences and full order book, but yes. I’m an artist. I was a crafter when I made quilts, but now I’m creating these little fragile works of art I do see myself as more of an artist, especially since I have shops and galleries interested in displaying my work. Who from the creative world do you admire? Well, what a question. There are so many I look up to and am impressed by. I guess my favourite over all others – can I choose a dead person? – is Frida Kahlo. Her strength, her vibrancy, her attitude… She’s always been a creative force that I’ve looked up to. I’ve always been interested in colour like she was, and I think that’s something that shows in my work. I think one thing that puts my work apart from that of other papercut artists is my use of colour infills, which I’ve been doing since I first started cutting. In terms of modern creative output, I see work on a daily basis that really impresses me. Too many to name names, but there are some amazing paper artists, ceramicists, textile artists and illustrators that I just adore the work of. It’s probably a good job I’ve never really got into Pinterest, because I’m not sure I’d ever be off it. Honestly? I’m not going to say nature, or name another artist, or expound about the world around me. It’s simple – my family. My little girl inspires me because I want to show her what’s possible and to encourage her to follow her dreams and do what makes her happy, like I am. My fiancé inspires me with his love, support and patience – especially those rare moments of anger and frustration at errors I’ve made; when he holds me, tells me to calm down and makes me a hot chocolate. And then there are those who are no longer around. My mum, who died when I was 20 and always told me I could be whatever I wanted to be. The only thing she ever wanted for me was for me to be happy (I am). And my grandparents – grandad a talented graphic designer, printmaker and teacher of art whose work is in the V&A, and granny a highly skilled artist, milliner and dressmaker. I never met them (they were killed in a car crash before I was born) but their style makes me tick, and their work is something I’m truly proud of. I feel that heritage coursing through my veins and, with one of my grandad’s beautiful paintings framed above my workspace, I’m reminded of – and inspired by – those much-missed family members everyday. Do you listen to music/watch TV while you work? No! I like to work in silence. Sometimes I’ve got the washing machine whirring around next to me (I work at the kitchen table), occasionally I’ve l got a cat purring on my lap and sometimes I’ll stick my iTunes on shuffle. But usually it’s just me, the blade and the paper. I like to be able to give it my full concentration because, when I do, my mind has the chance to wander off and take me anywhere! Sounds strange but that’s how it works – lately I’ve been transported back to gorgeous holidays in France while cutting my Christmas card designs. I guess I don’t mind my own company. No idea! I’ve always been a fly-by-the-seat-of-my-pants sorta girl. I’ll be 35, will no doubt have more littlies and hopefully still be papercutting. If I am, I’d like to have a range of products – textiles, wallpaper, prints… I hope I’ll have the time to create more art-led pieces and explore the medium of papercutting more, perhaps combining it with one of my other creative passions, such as photography or machine sewing. I’d like to host workshops locally so I can teach others this satisfying skill and get to enjoy eating cake and spending time with other creative types. I do have a bit of a dream to have a barn set-up, with studios available to rent on a daily basis, a coffee shop, display space and crèche (so other arty parents can pursue their passion while someone looks after their small person), but that dream is a very, very long way off. Unless anyone happens to know the winning numbers for the next lottery draw…? Above all, in five years, I’d still like to be in a happy place. What sacrifices have you made for your art? I gave up my career as a magazine editor for one. I imagine I can always go back to it but, right now, papercutting is where I’m at. I also give up time with my little girl in order to work. Many thousands of parents do the same, I know; but when you’re self-employed with a small income and your little girl has been with you pretty much full-time from birth, it’s a painful sacrifice to make! But I guess she’s only just started preschool, so I’m feeling it more right now. Whaddyafink? I was rather pleased with it! 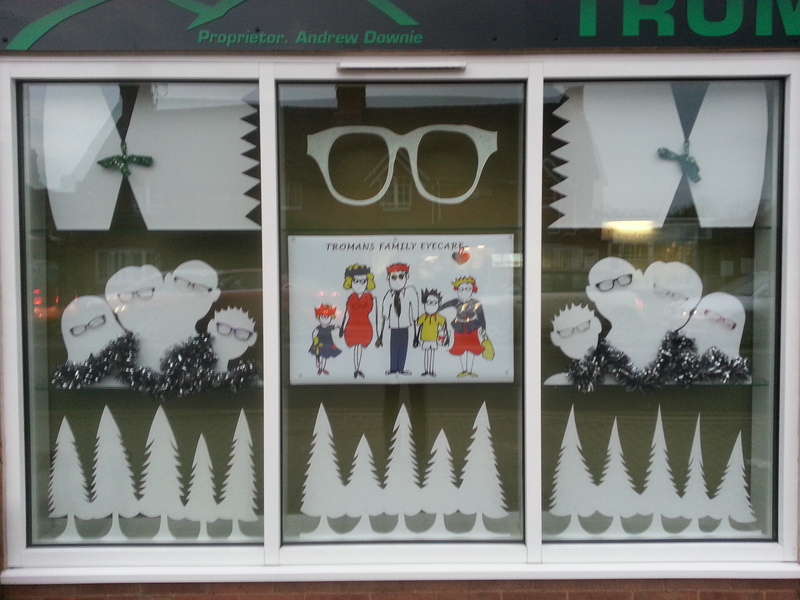 I shall tell you more about it….. well, firstly, incase you hadn’t guessed, the window display was done for an opticians, being Tromans Family Eyecare of Malvern Link. I know Andrew, the owner, through school – his daughter and mine are in the same class and we are both on the PTA. The majority of the display is made out of foamboard, which I have rediscovered – I love working with it, it is a very satisfying material to cut, but it does need a regular change of scalpel blade and a confident slicing action – if you are too slow with the cutting it seems to catch a bit for some reason. I can;t take any credit for the colourful logo int he middle – this was designed by Andrew’s sister in law – its fun though, do you like it? I cut the two families on either side in a similar style (or tried to) – was very pleased to have got the holes to put the actual glasses through in the right place….that was a relief I can tell you as it was my last sheet of foamboard so would have been in trouble if I had cocked it up! 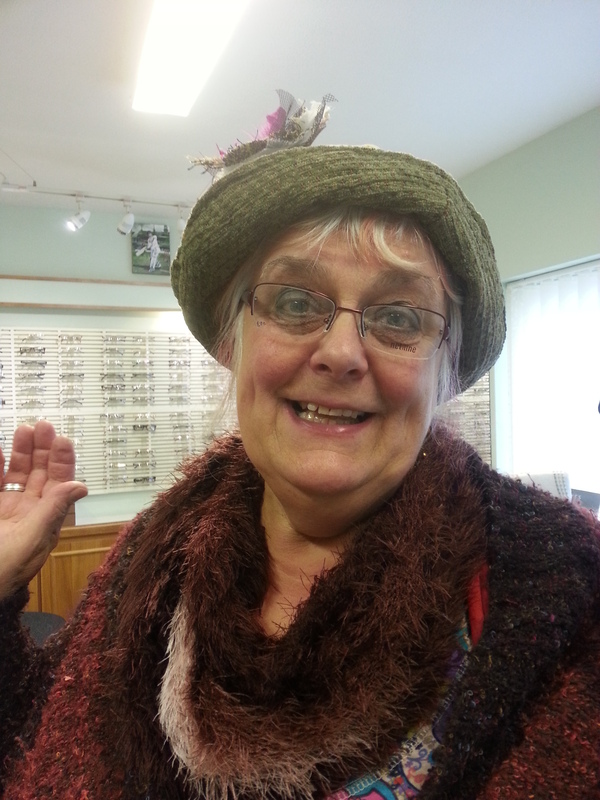 So….how many of you wear glasses and live in driving distance of Malvern?! I hope you will pop down and have a look for yourself, and check out the shop – excellent service and great choice of frames too. Oooo, here’s a thought – why not go and check out their website and see for yourself from the comfort of your armchair?! Tromans Family Eyecare I actually bumped into a friend of mine whilst I was working there – she had popped in to try to find a new pair of glasses. I helped her try some on – take a look at these ones, what do you think? I think they look fab! Hopefully Jill’s husband will think the same! By the way, Jill is super crafty – checkout her website. Good morning my lovelies, how are you all? Ready to meet someone super interesting? I hope so! I met these lovely people over on Twitter and fell in love with their furniture, so have a read, take a look at their sites, and I am pretty darn confident you will also love their work! My name is Jonathan Taylor and I’m proprietor of Fathers Shed, bespoke upholstery and soft furnishings and together with Andy Ingram we now also design bespoke pieces of furniture under the name FEiRD Design. I come from the Forest of Dean in Gloucestershire on the Welsh border and Andrew comes from Monmouth in Wales, both are stunningly beautiful areas to live and work and we feel very lucky indeed! I’ve been working within the design and upholstery business for 14 years and in my own business for four years now. I basically fell into it by accident when a local Interior Design company invited me to their opening weekend and when they discovered I could use a sewing machine and new about design and fabrics they offered me a job which I accepted! I’ve never looked back from that day on. I find the hardest part of doing this quoting and pricing jobs, I like to make sure that I’m fair but also that I’m not undercutting myself which I seem to do on a regular basis! One day I’ll learn! By far the most rewarding part of doing what I do is the look of joy and amazement on a customers face when they see a piece of furniture totally transformed by what we do, I’ve literally had people in tears when they thought that a cherished item was beyond repair and refurbishment and we return it to them better than new and ready to go on for many more years to come. Can I choose all four Lol? I guess if I have to pick just one I would have to describe myself as designer/maker although obviously there are elements of craft, creativity and art involved in everything we create at Fathers Shed. That’s simple, Lee Broom. He is runner up in the Elle Decoration Magazine Designer of the Year of which he won last year and it’s easy to see why. His designs are ingenious whilst being uncomplicated with elements of traditionalism in their origins. Genius! My inspiration comes from everything around me, from everyday objects, to a beautiful view or something that I see whilst out and about or something that I read. I meet a lot of people doing what I do and see a lot of different interiors and furnishings and the way people use the space that they live in. There is inspiration in everything if you take the time to look. Andrew and I have recently been weighing up the pro’s and cons of acquiring a small shop in one of the local Market towns around where we live, but also the option of extending and improving the workshop to make provision for another studio for Andrew and on site shop/viewing area, Option 2 is the most appealing to us at the moment, and the cheapest lol! When I started out on my own 4 years ago I had to sell my car and Landrover to raise money for a van and I also had to make the difficult decision to demolish my late fathers beloved shed in order to build my workshop to the requirements that I needed, hence the name Fathers Shed, named after my dear old dads demolished shed! Now I just know you are going to be desperate to find out more. First port of call is the facebook page – take a look at all the fab photos on there, and like the page whilst you are at it! If you are a twitter fan, why not keep up to date with them and follow them? A must do – check out the fab website – and keep re-checking – I have heard that it is going to be made even more betterer – not sure how as it is pretty spiffing as it is! Oh, and mustn’t forget – check them out on Pinterest too! Tea and hot buttered BOAST!! So firstly, sorry this post is a bit late out. Normally I am pretty organised and have either written my post well in advance of Monday morning or I at least have it planned out in my head. Unfortunately things have got rather on top of me over the last few weeks (personal nonsense that non of you need to be troubled with, but I’m alright, that’s the main thing). Anyway, what news do I have for you – well, I am super proud to announce that I have made it into a Christmas Gift Guide!! It is the one that has just come out with the latest issue of Venue. For those of you who are not aware (how could you be?!) Venue is a Bristol publication and is a bit like Time Out – it’s a very cool mag. Wanna see me in there? I will try to upload the photos from my phone – hang on a tic…..
And there we have it – fan-flippin-tastic!! See that? 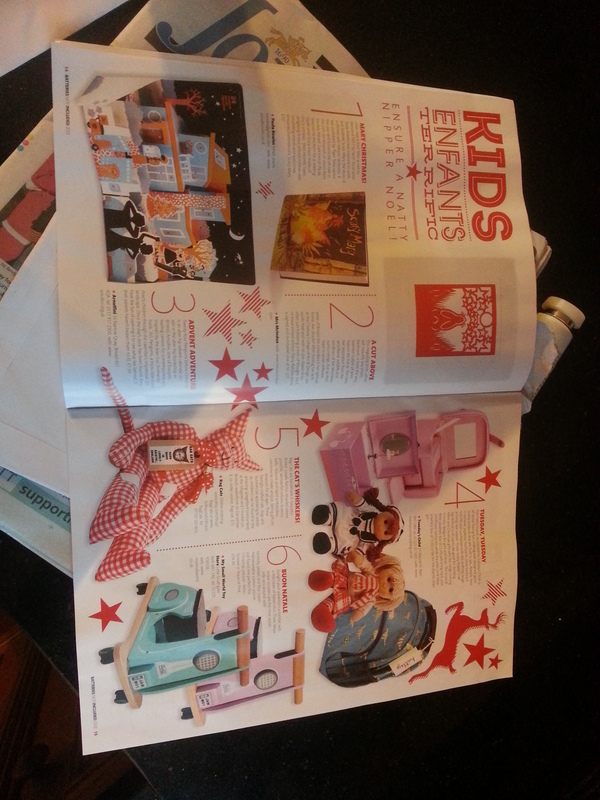 I am number 2 in the present list for kids for this Christmas woohoo! Generally I am not one to show off much, but my goodness, tea and hot buttered BOAST – am really rather pleased with myself! Thank you kindly to Supafly Si Fry and the rest of the Venue team for including me. Well hello there, welcome to November, and welcome to the Thursday Showcase. I am excited about todays interesting person as although I met them online (through Facebook I think) I have actually met them in person a few times since, and they live only a mile away from me – how strange – the world wide web leads me straight back to the locals! So, who am I talking about – have a read and find out…..
I’m Carys Thurlby, aka Wissy Bears, or Wissy to my husband, and I’ve just moved back to my home town of Worcester after living in Ascot for 7 years. Coming back home has been great as I’ve reconnected with so many great friends. At Wissy Bears I primarily make bears and little British animals but I also dabble with needle felt, papercraft, and I do crochet for fun. I’ve always been a crafter. I remember as a kid the biggest treat of the summer holiday was in the first week we would go to into Worcester and buy sugar paper, glue, glitter, card, stencils, pipe cleaners and all manner of goodies to put in the craft box. Then I’d spend all summer making things from the supplies and egg boxes, milk bottles, scraps of material and anything I could get my hands on. I think Wissy Bears is just a continuation of that! My instant response was marketing but I’m getting better at that. So if I’m totally honest the hardest part is seeing myself as a genuine teddy bear artist with talents and skills. I always look at my work so critically and see all sorts of flaws and defects, and see myself as a pretender. Having confidence in your work is so important but sometimes I still feel like I’m a kid bringing home a squashed junk model for my mum to admire. 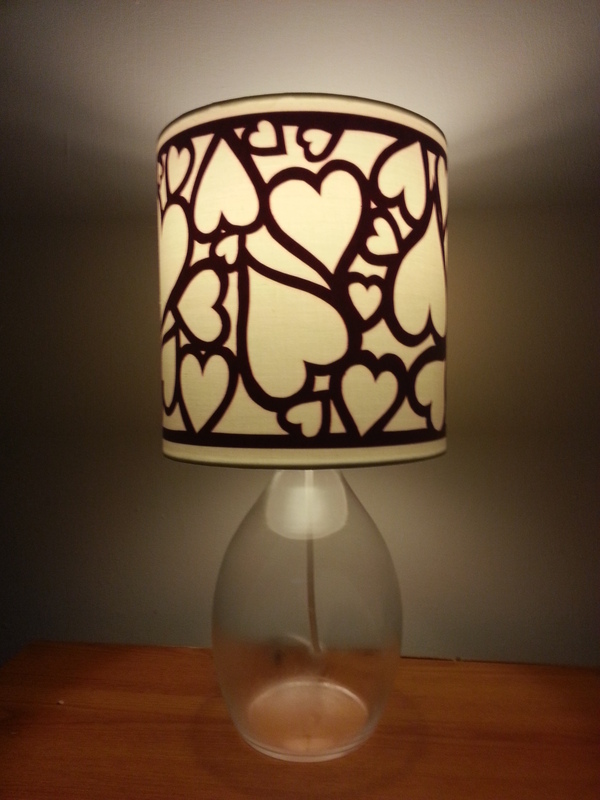 In contrast to the above, it’s when a customer falls in love with something I’ve made. It helps me realise that what I do takes skill and not everyone can do it, and if someone loves a bear enough they can’t leave the shop without him, I’m walking on air. Umm, when I’m being posh (mortgage application!) I say I a teddy bear artist but I think of myself as a crafter. Again I guess this goes back to the confidence thing as crafter sounds less official and you can be a crafter as a hobby. If I class myself as a designer/maker or bear artist it sounds more official. Can I say Kirsty Allsop? I just want her life. She gets paid to try out new crafts and be taught by the most amazing crafters. In the bear world, Pipkins Bears are beautiful. I love the expressions and detailing she creates. I’m terrible for buying mohair I like and designing a bear to suit it, rather than having a bear designed and buying the right mohair. I’m a bit of a magpie and will buy shiny buttons and pretty fabrics and then think, “oops, I ought to do something with this”. My teddy bears are inspired by traditional teddies. I like to create new versions of bears that would have sat in a Victorian child’s nursery. I enjoy going to bear festivals like Hugglets where you can see thousands of bears. I always come away full of ideas and enthusiasm. I love listening to audio books. I love listening to historical fiction, and am currently listening to Tuscan Rose by Belinda Alexander. Before that I was listening to Miranda Hart’s book, which led to an embarrassing moment. Miranda was talking to her dog and just as a customer came up the stairs she yelled out “I can see your poo hole”. Thanks Miranda! Hopefully in a bigger studio, teaching craft sessions, running bear making courses, selling lots of bears to a long waiting list of discerning clients. I have so many ideas I have to keep reigning myself in and remember to concentrate on a few…for now. Nothing important. Only my sanity! Being serious I really don’t know. Sometimes I think crafting drives me insane but it’s also saved me. I lost my job due to health and I was looking for something I could do instead without making my health worse so crafting has rescued me. Other than when it’s driving me round the bend because I’m trying to achieve something, I don’t feel I’ve sacrificed anything. My husband might say differently as he always comes home to chaos with bit of yarn or teddy bear all over the house! Why not hop on over to Facebook and like the Wissy Bears page? Or if you happen to be in Worcester, you can visit Carys at her workshop above The North Star on The Tything.